Lincolnshire Police have unveiled a new high-tech drone and quad bikes as part of a crackdown on rural crime. Marc Jones, Lincolnshire Police and Crime Commissioner, made the funds available as part of his plans to make rural and community safety his priority when he was appointed last year. The whole scheme is expected to cost around £750,000 and the drone is expected to start being used within the next few weeks. The scheme comes amid warnings that cutbacks to police budgets have caused a "national crisis" and left forces with a severe shortage of detectives and investigators. “I would not be at all surprised if other forces follow in due course – the question is not whether they will, it's when,” Assistant Chief Constable Steve Barry, National Police Chiefs' Council lead for drones, told the Daily Mail. Devon and Cornwall Police began trialling unmanned aerial devices in November 2015, acquiring four DJI Inspire 1 drones equipped with high-definition cameras. Police have promised “zero tolerance” against louts and yobs who have buzzed around on stolen mopeds, damaged police vehicles and set fire to bins, with gangs intimidating locals. 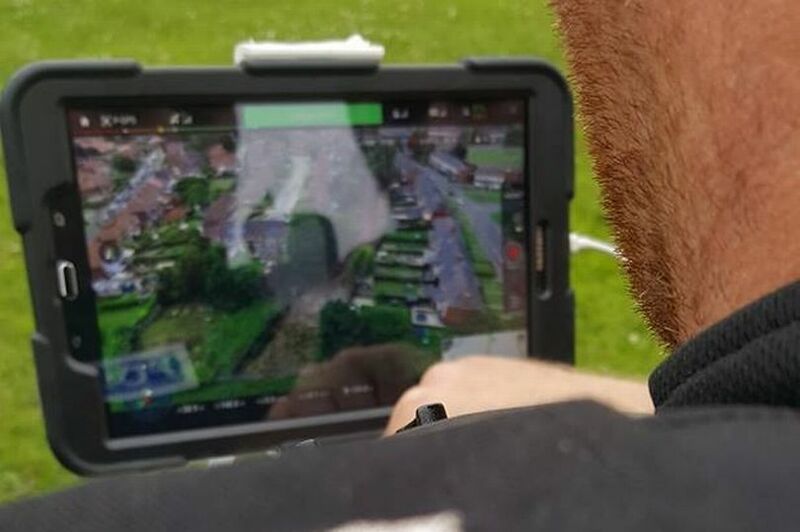 Now the force have an ‘eye in the sky’, using a drone over the area as part of the ongoing Operation Smoke - which also involves officers and colleagues from Middlesbrough Council, Cleveland Fire Brigade and housing groups. “Using the drone is an extremely valuable additional tool in our on-going fight against crime . Criminals should be aware we have been watching them and they could expect us to knock on their door to speak to them about their activity.